'The Tale of Euan Redcap' was published by the Pixiefoot Press imprint of Wyvern Publications in March 2012. 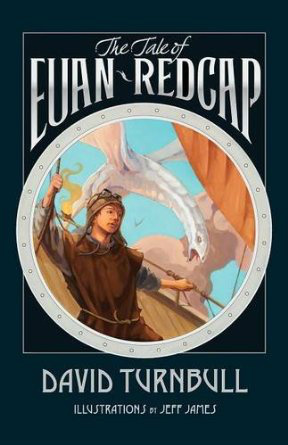 It feature the adventures of eleven year old Euan Redcap who is kidnapped by dragon hunters and taken to the Far Tundra in an airship with a balloon filled with lighter than air 'dragon breath' to hunt to the elusive 'White Sow' - a huge albino dragon. The story has an environmental theme with the appetite for 'dragon breath' as an energy source driving the dragon population ever closer to extinction.